﻿ Blue Weiss Hotel, Netanya | FROM $85 - SAVE ON AGODA! "we had a suite with an awesome balcony overlooking the Sea,..."
Have a question for Blue Weiss Hotel? "Not the most luxurious but excellent price, great location, great view, and clean." 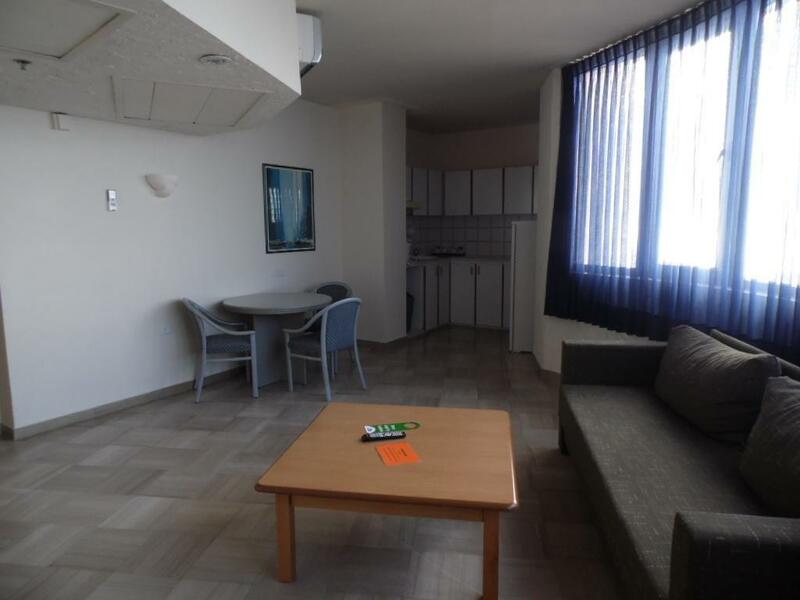 "Great location from the hustle and bustle of Tel Aviv Beach." "Great seaview, very Kind Service, clean and big rooms, perfe..."
Well-positioned in North Promenade, Blue Weiss Hotel is the ideal point of departure for your excursions in Netanya. The hotel is not too far from the city center: just 0.4 Km away, and it normally takes about 35 minutes to reach the airport. 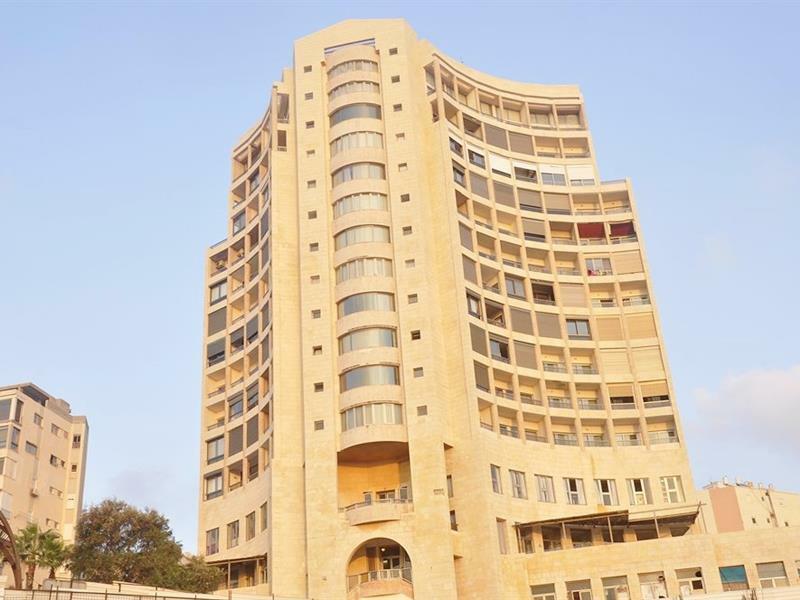 A haven of rest and relaxation, the hotel will offer total renewal just steps away from the city's numerous attractions such as Sironit Beach, Inter Active Atzmaut Square, Lev HaIr Medical Center. Offering hotel guests superior services and a broad range of amenities, Blue Weiss Hotel is committed to ensuring that your stay is as comfortable as possible. A selection of top-class facilities such as free Wi-Fi in all rooms, 24-hour front desk, facilities for disabled guests, luggage storage, Wi-Fi in public areas can be enjoyed at the hotel. The ambiance of Blue Weiss Hotel is reflected in every guestroom. 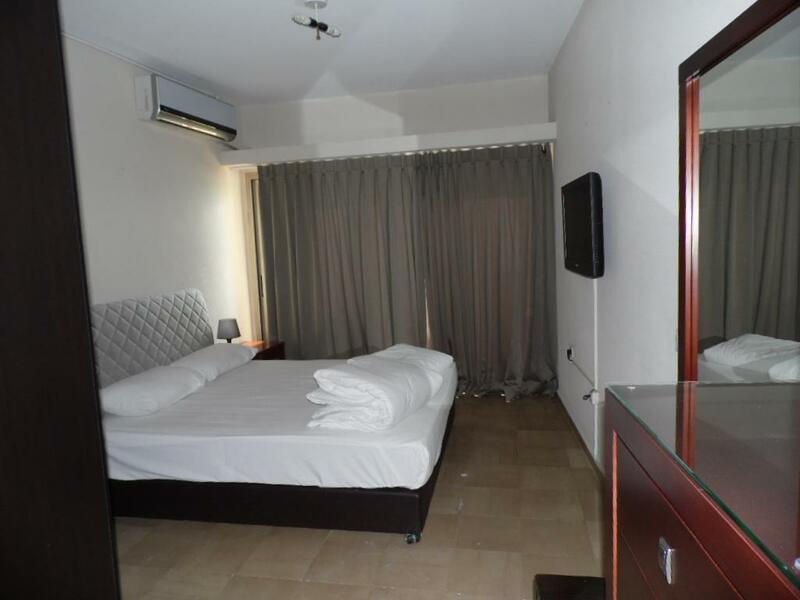 television LCD/plasma screen, sofa, separate living room, internet access – wireless, internet access – wireless (complimentary) are just some of the facilities that can be found throughout the property. The hotel offers fantastic facilities, including children's playground, to help you unwind after an action-packed day in the city. Blue Weiss Hotel is a smart choice for travelers to Netanya, offering a relaxed and hassle-free stay every time. "The staff, building, rooms, facilities, and location of the..."
This is not an American hotel; if you're expecting a Hilton, move on. This is an Israeli hotel. That means a firm, thin mattress, no extra pillows and blankets in the room... But we had a suite with an awesome balcony overlooking the Sea, full kitchen, washer and dryer, cable TV, free parking, decent breakfast - for $100 a night. What a deal! The staff, building, rooms, facilities, and location of the Blue Weiss are excellent and I stay there every time I am in Netanya! Not the most luxurious but excellent price, great location, great view, and clean. Friendly staff. Great location from the hustle and bustle of Tel Aviv Beach. Parking is limited and tight. Breakfast was great. I was upgraded to executive suite which was a surprise. Beautiful ocean view. Great walking path and beach access facilities. Good restaurants, pubs, and fast food business walking distance. I would diffidently visit again. Very pleasant. We were upgraded from a studio apt to a bedroom with separate living and dining area. It would have made sense to have a door between the sleeping and living areas. It was modern with a spectacular view to the sea. In the bathroom, there was no shower gel only soap, no soap dish, only one hook to hang your wet towels on, and no hairdryer. there was no full length mirror. We were given more clothes hangers when we asked and beach towels were provided. The rooms were spacious. There was a fridge and 2 sinks, a table and two chairs and an uncomfortable settee. The beds were very comfortable. There was limited free parking outside the hotel. There was no hot water to take a shower No water to drink in the room neither any place in the building(not a hotel) to buy water. Very disappointed. Greatly misrepresented. Looks like a neglected hotel want to be. We liked it and would return as guests again. Room was basic but had everything we needed. 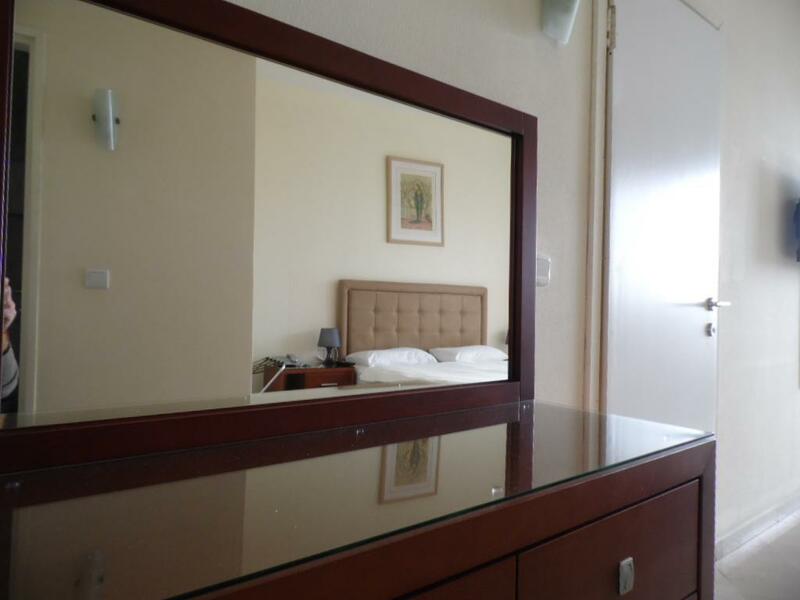 Hotel did seem a little "tired" decoratively especially the bathroom which is not enticing and the wardrobe is basic material but even so we enjoyed our stay with you.It was comfortable - beds especially so. Nice location for town and beach. Not sure we caught you at your best with food as it was Rosh Hashana then shabbat. Awesome position at beach, quick walk to shops and city, parking is tight so get in early, great breakfast. Other than the view, there was nothing else good about it. I have stayed in many hotels in Israel but this has got to be one of the worst hotels that I have stayed in. The staff were very unfriendly and unhelpful. They wanted to charge large amounts of money for a late check out on the Sabbath - something that other hotels in Israel never have a problem with. They did not even have a proper luggage room if we needed to leave our luggage. Our room was was part of a family sized room and thus we could hear everything that was going on in the adjoining room,especially at 2am. When we checked in, we were informed that we still needed to pay, despite having paid on Agoda. They charged our credit card, only to call us 20 minutes later to say that they had made a mistake and they needed to reverse the charges. I would not stay at that hotel again. 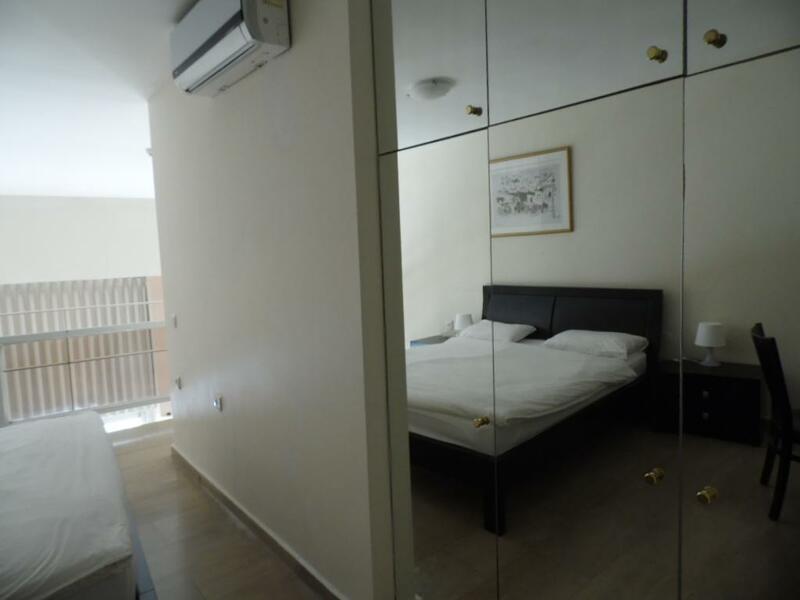 I got a good price for the room on Agoda and was so surprised when we arrived, the room was massive with its own lounge and kitchenette and best of all, a balcony over looking Netanya beach. We would loved to have stayed longer, the room was very nice, lots of fresh white towels in the bathroom. The only minor points would be for the kitchenette to be better equipped but I can understand why they aren't. And the beds where 2 twin beds pushed together which was a little uncomfortable for a couple. 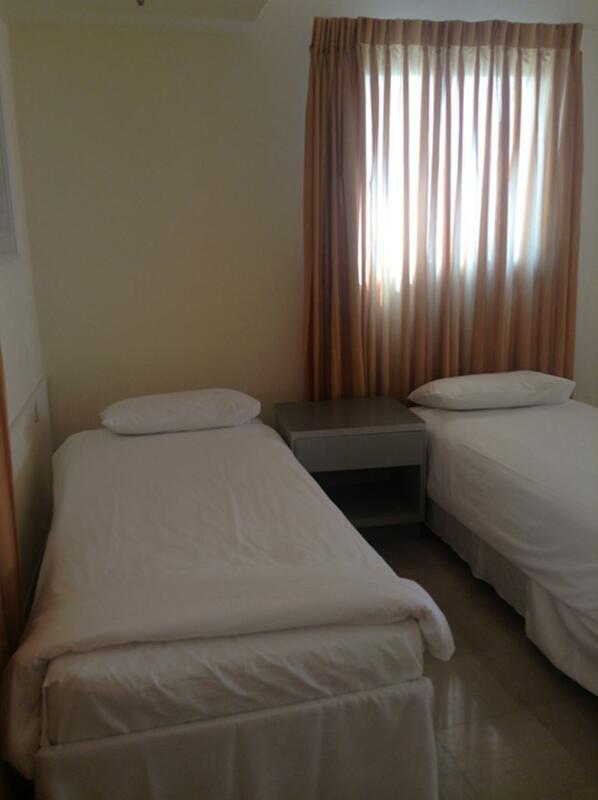 But overall, compared to what you normally get in Israel which is not cheap for accommodation, very good value. I would stay at the Blue Weiss again for sure.